In this course, you will learn how to integrate Language Understanding into a mixed reality application using Azure Cognitive Services, with the Language Understanding API. 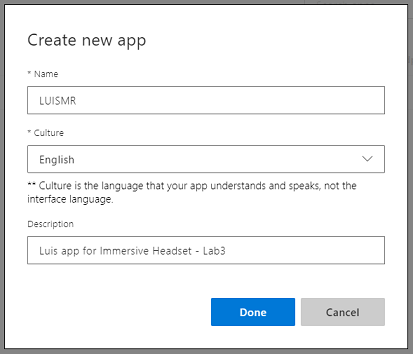 Language Understanding (LUIS) is a Microsoft Azure service, which provides applications with the ability to make meaning out of user input, such as through extracting what a person might want, in their own words. This is achieved through machine learning, which understands and learns the input information, and then can reply with detailed, relevant, information. For more information, visit the Azure Language Understanding (LUIS) page. Capture user input speech, using the Microphone attached to the immersive headset. 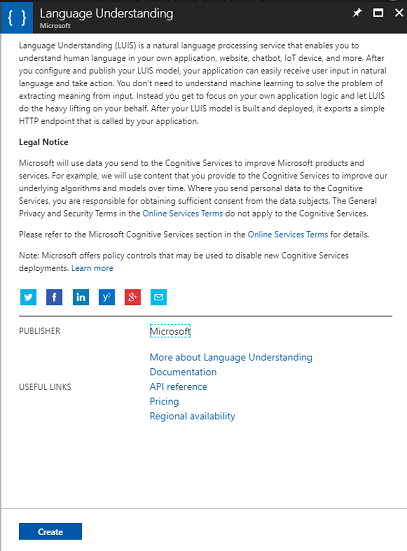 Send the captured dictation the Azure Language Understanding Intelligent Service (LUIS). Have LUIS extract meaning from the send information, which will be analyzed, and attempt to determine the intent of the user’s request will be made. Development will include the creation of an app where the user will be able to use voice and/or gaze to change the size and the color of the objects in the scene. The use of motion controllers will not be covered. Be prepared to Train LUIS several times, which is covered in Chapter 12. You will get better results the more times LUIS has been trained. To allow your machine to enable Dictation, go to Windows Settings > Privacy > Speech, Inking & Typing and press on the button Turn On speech services and typing suggestions. The code in this tutorial will allow you to record from the Default Microphone Device set on your machine. Make sure the Default Microphone Device is set as the one you wish to use to capture your voice. 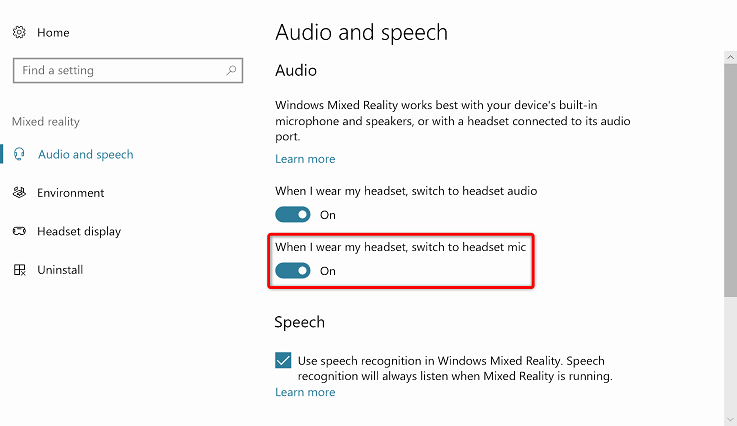 If your headset has a built-in microphone, make sure the option “When I wear my headset, switch to headset mic” is turned on in the Mixed Reality Portal settings. 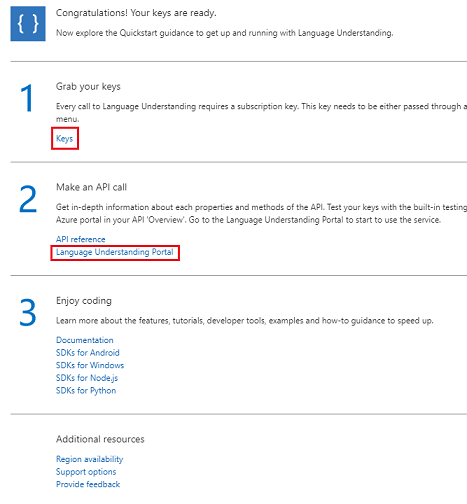 To use the Language Understanding service in Azure, you will need to configure an instance of the service to be made available to your application. Once you are logged in, click on New in the top left corner, and search for Language Understanding, and click Enter. The new page to the right will provide a description of the Language Understanding service. At the bottom left of this page, select the Create button, to create an instance of this service. Select the Pricing Tier appropriate for you, if this is the first time creating a LUIS Service, a free tier (named F0) should be available to you. The free allocation should be more than sufficient for this course. Choose a Resource Group or create a new one. 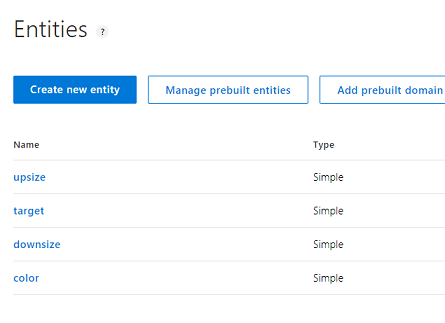 A resource group provides a way to monitor, control access, provision and manage billing for a collection of Azure assets. It is recommended to keep all the Azure services associated with a single project (e.g. such as these courses) under a common resource group). 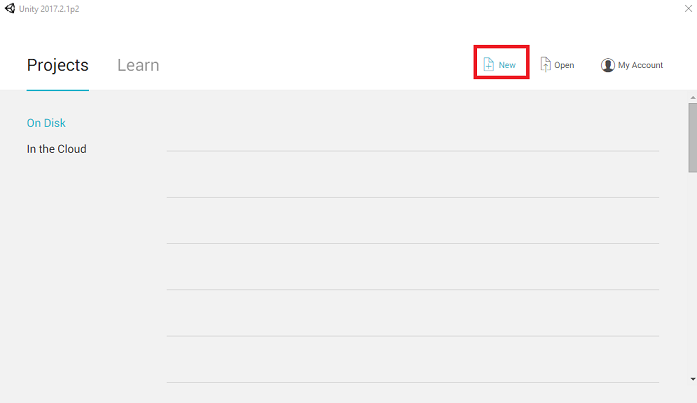 Click the Go to resource button in the notification to explore your new Service instance. You will be taken to your new LUIS service instance. From the Quick start page, of your LUIS API service, navigate to the first step, Grab your keys, and click Keys (you can also achieve this by clicking the blue hyperlink Keys, located in the services navigation menu, denoted by the key icon). This will reveal your service Keys. In the Service page, click on Language Understanding Portal to be redirected to the webpage which you will use to create your new Service, within the LUIS App. 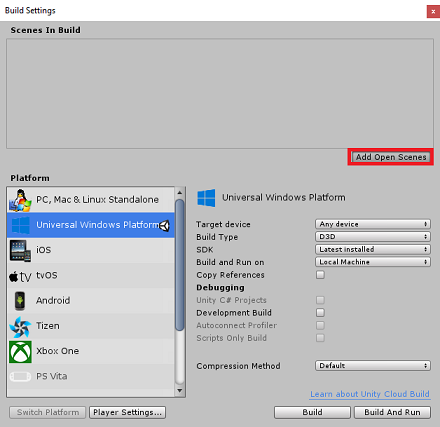 In this section you will learn how to make a LUIS App on the LUIS Portal. Please be aware, that setting up the Entities, Intents, and Utterances within this chapter is only the first step in building your LUIS service: you will also need to retrain the service, several times, so to make it more accurate. Retraining your service is covered in the last Chapter of this course, so ensure that you complete it. Upon reaching the Language Understanding Portal, you may need to login, if you are not already, with the same credentials as your Azure portal. If this is your first time using LUIS, you will need to scroll down to the bottom of the welcome page, to find and click on the Create LUIS app button. Once logged in, click My apps (if you are not in that section currently). You can then click on Create new app. If your app is supposed to understand a language different from English, you should change the Culture to the appropriate language. Here you can also add a Description of your new LUIS app. Once you press Done, you will enter the Build page of your new LUIS application. Intent, represents the method that will be called following a query from the user. An INTENT may have one or more ENTITIES. Entity, is a component of the query that describes information relevant to the INTENT. Utterances, are examples of queries provided by the developer, that LUIS will use to train itself. If these concepts are not perfectly clear, do not worry, as this course will clarify them further in this chapter. You will begin by creating the Entities needed to build this course. On the left side of the page, click on Entities, then click on Create new entity. Call the new Entity color, set its type to Simple, then press Done. At this point you can begin creating Intents. Do not delete the None intent. On the left side of the page, click on Intents, then click on Create new intent. Call the new Intent ChangeObjectColor. This Intent name is used within the code later in this course, so for best results, use this name exactly as provided. Once you confirm the name you will be directed to the Intents Page. You will notice that there is a textbox asking you to type 5 or more different Utterances. LUIS converts all Utterances to lower case. You will notice that the new Utterance will appear in a list underneath. For each Utterance you have created, you must identify which words should be used by LUIS as Entities. 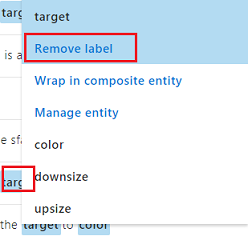 In this example you need to label all the colors as a color Entity, and all the possible reference to a target as a target Entity. 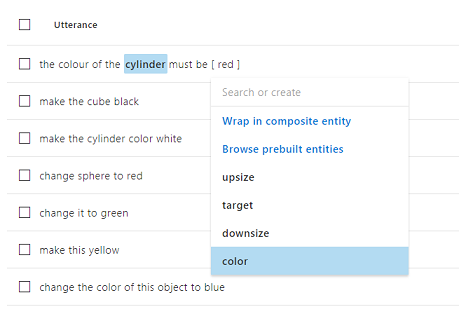 To do so, try clicking on the word cylinder in the first Utterance and select target. Now click on the word red in the first Utterance and select color. Label the next line also, where cube should be a target, and black should be a color. Notice also the use of the words ‘this’, ‘it’, and ‘this object’, which we are providing, so to have non-specific target types available also. Repeat the process above until all the Utterances have the Entities labelled. See the below image if you need help. For single words just click them. For a set of two or more words, click at the beginning and then at the end of the set. You can use the Tokens View toggle button to switch between Entities / Tokens View! At this point press the Train button at the top-right of the page and wait for the small round indicator on it to turn green. This indicates that LUIS has been successfully trained to recognize this Intent. 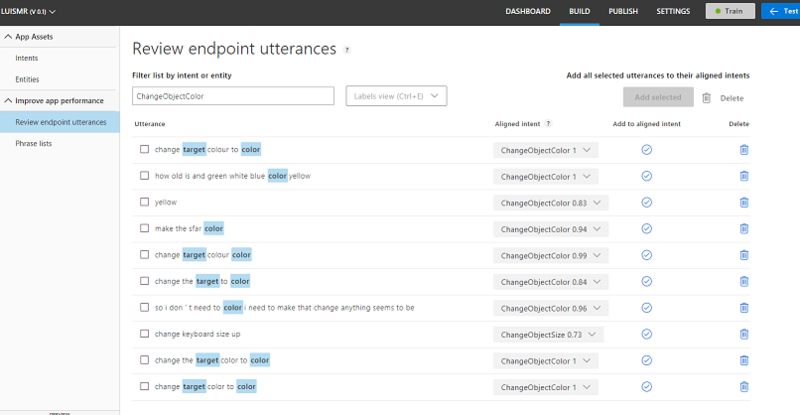 As an exercise for you, create a new Intent called ChangeObjectSize, using the Entities target, upsize, and downsize. Once both Intents, ChangeObjectColor and ChangeObjectSize, have been created and trained, click on the PUBLISH button on top of the page. 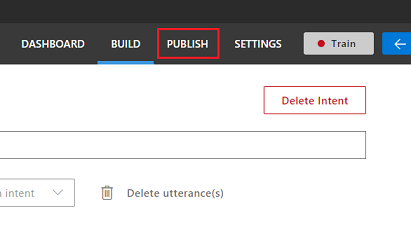 On the Publish page you will finalize and publish your LUIS App so that it can be accessed by your code. Set the drop down Publish To as Production. Set the Timezone to your time zone. Check the box Include all predicted intent scores. Click on Publish to Production Slot. Select the region you set for service instance in the Azure Portal. You will notice a Starter_Key element below, ignore it. Click on Add Key and insert the Key that you obtained in the Azure Portal when you created your Service instance. If your Azure and the LUIS portal are logged into the same user, you will be provided drop-down menus for Tenant name, Subscription Name, and the Key you wish to use (will have the same name as you provided previously in the Azure Portal. Underneath Endpoint, take a copy of the endpoint corresponding to the Key you have inserted, you will soon use it in your code. 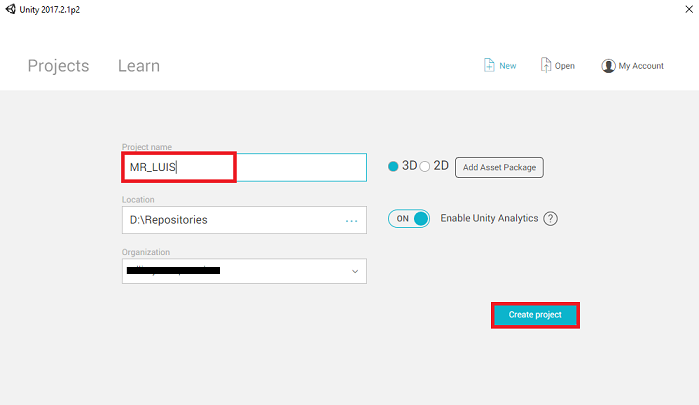 You will now need to provide a Unity Project name, insert MR_LUIS. Make sure the project type is set to 3D. Set the Location to somewhere appropriate for you (remember, closer to root directories is better). Then, click Create project. Open your newly created Scenes folder, and then in the File name: text field, type MR_LuisScene, then press Save. 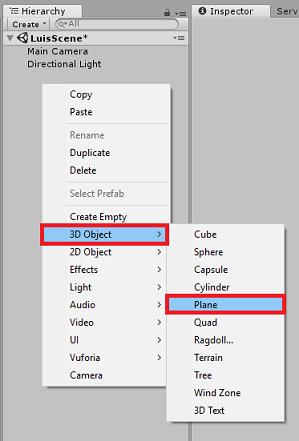 Right-click in an empty area of the Hierarchy Panel, under 3D Object, add a Plane. Be aware that when you right-click within the Hierarchy again to create more objects, if you still have the last object selected, the selected object will be the parent of your new object. Avoid this left-clicking in an empty space within the Hierarchy, and then right-clicking. Left click on the Main Camera to select it, look at the Inspector Panel you will see the Camera object with all the its components. 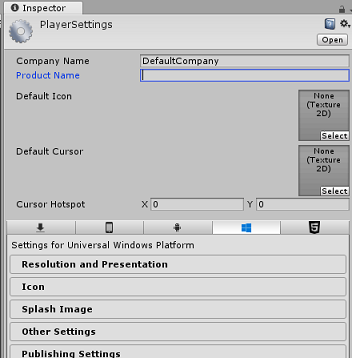 Click on the Add Component button located at the very bottom of the Inspector Panel. 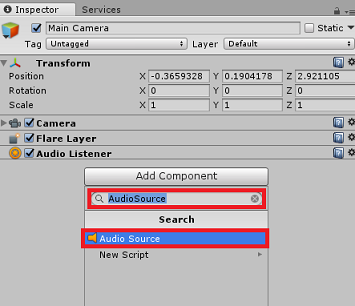 Search for the component called Audio Source, as shown above. Position is set to 0, 0, 0. Rotation is set to 0, 0, 0. Change Font Size in the Text Mesh component to 50. 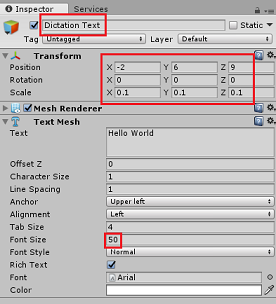 Change the name of the Text Mesh object to Dictation Text. The first Script you are going to create is the MicrophoneManager class. Following this, you will create the LuisManager, the Behaviours class, and lastly the Gaze class (feel free to create all these now, though it will be covered as you reach each Chapter). Detecting the recording device attached to the headset or machine (whichever is the default one). Once the voice has paused, submit the dictation to the LuisManager class. 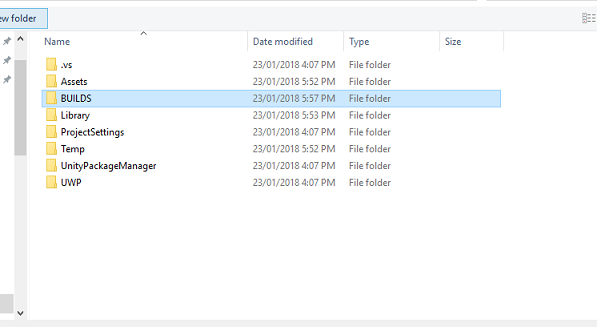 Right-click in the Project Panel, Create > Folder. Call the folder Scripts. With the Scripts folder created, double click it, to open. Then, within that folder, right-click, Create > C# Script. Name the script MicrophoneManager. Double click on MicrophoneManager to open it with Visual Studio. Now you need the method that the App uses to start and stop the voice capture, and pass it to the LuisManager class, that you will build soon. Add a Dictation Handler that will be invoked when the voice pauses. This method will pass the dictation text to the LuisManager class. /// and then start listening again. Delete the Update() method since this class will not use it. 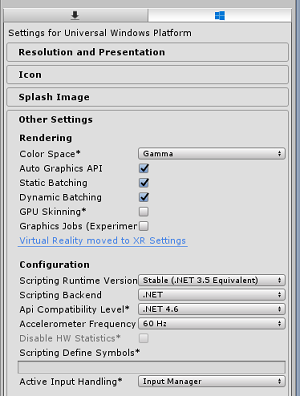 At this point you will notice an error appearing in the Unity Editor Console Panel. This is because the code references the LuisManager class which you will create in the next Chapter. 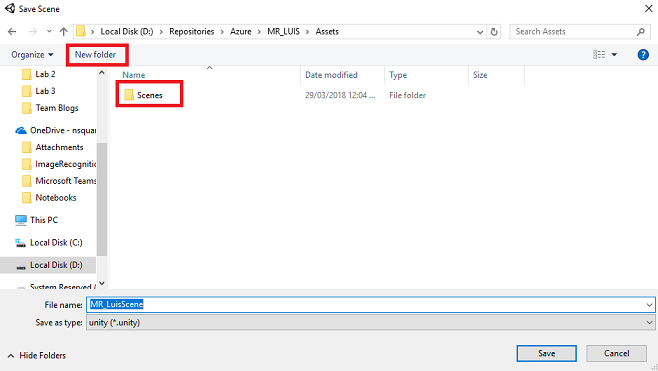 It is time for you to create the LuisManager class, which will make the call to the Azure LUIS service. The purpose of this class is to receive the dictation text from the MicrophoneManager class and send it to the Azure Language Understanding API to be analyzed. This class will deserialize the JSON response and call the appropriate methods of the Behaviours class to trigger an action. Right-click inside the Scripts folder, click Create > C# Script. Name the script LuisManager. Double click on the script to open it with Visual Studio. You will begin by creating three classes inside the LuisManager class (within the same script file, above the Start() method) that will represent the deserialized JSON response from Azure. 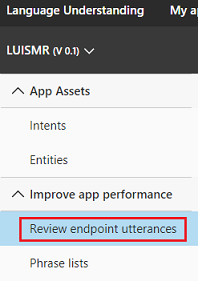 Make sure to place your LUIS endpoint in now (which you will have from your LUIS portal). Now you need the methods this application uses to send the dictation received from the MicrophoneManager class to LUIS, and then receive and deserialize the response. Once the value of the Intent, and associated Entities, have been determined, they are passed to the instance of the Behaviours class to trigger the intended action. /// Call LUIS to submit a dictation result. /// The done Action is called at the completion of the method. 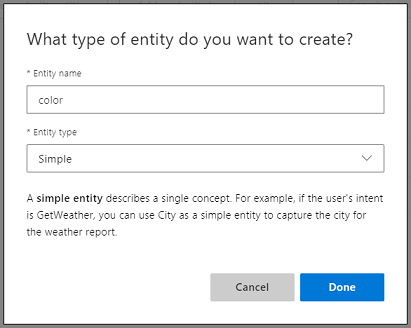 Create a new method called AnalyseResponseElements() that will read the resulting AnalysedQuery and determine the Entities. Once those Entities are determined, they will be passed to the instance of the Behaviours class to use in the actions. Delete the Start() and Update() methods since this class will not use them. 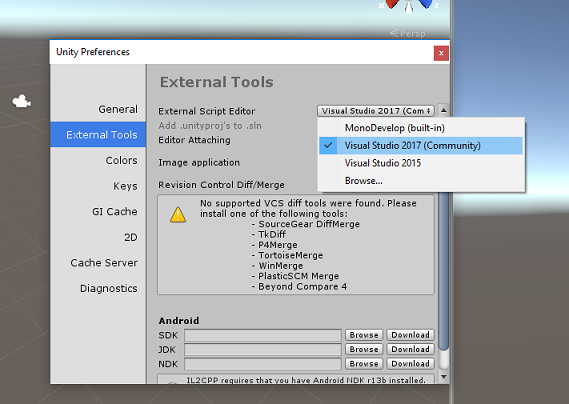 At this point you will notice several errors appearing in the Unity Editor Console Panel. This is because the code references the Behaviours class which you will create in the next Chapter. The Behaviours class will trigger the actions using the Entities provided by the LuisManager class. Right-click inside the Scripts folder, click Create > C# Script. Name the script Behaviours. 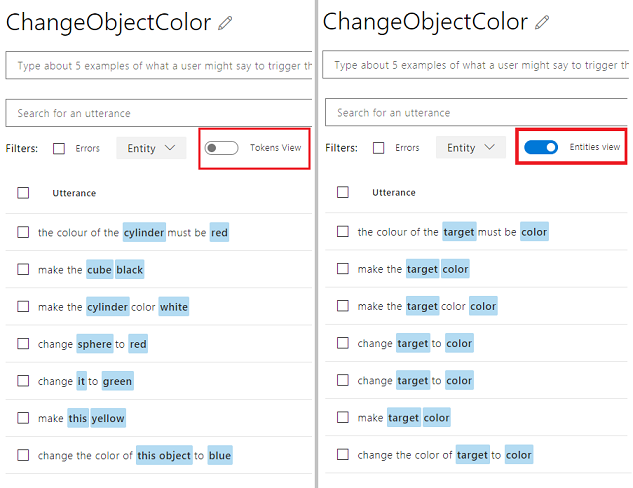 The following methods are called by the LuisManager class (which you have created previously) to determine which object is the target of the query and then trigger the appropriate action. Add the FindTarget() method to determine which of the GameObjects is the target of the current Intent. This method defaults the target to the GameObject being “gazed” if no explicit target is defined in the Entities. The last class that you will need to complete this app is the Gaze class. 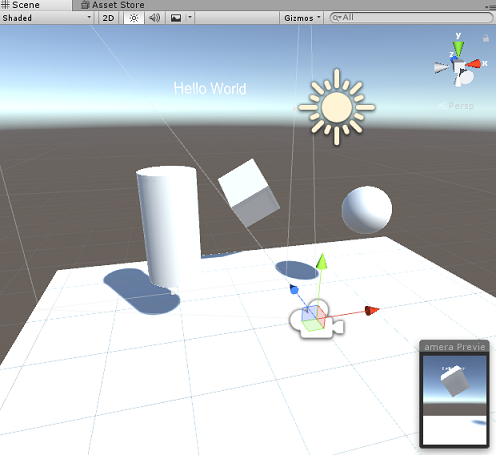 This class updates the reference to the GameObject currently in the user’s visual focus. Right-click inside the Scripts folder, click Create > C# Script. Name the script Gaze. // Uses a raycast from the Main Camera to determine which object is gazed upon. // Turn the gaze off, reset the gazeObject in the Behaviours class. 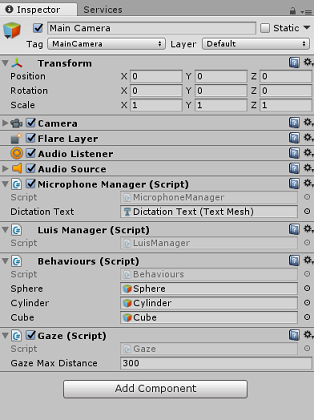 To complete the setup of the scene, drag each script that you have created from the Scripts Folder to the Main Camera object in the Hierarchy Panel. Select the Main Camera and look at the Inspector Panel, you should be able to see each script that you have attached, and you will notice that there are parameters on each script that are yet to be set. From the Hierarchy Panel, drag the Dictation Text object into the Dictation Text parameter value box. 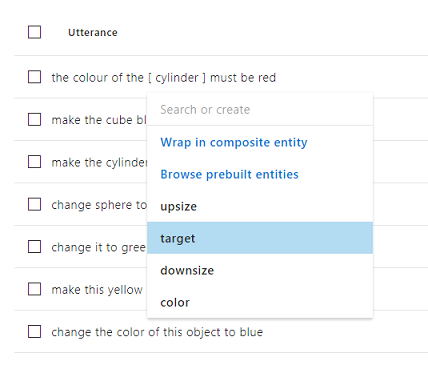 Drag the Sphere object into the Sphere reference target box. Drag the Cylinder into the Cylinder reference target box. Drag the Cube into the Cube reference target box. Set the Gaze Max Distance to 300 (if it is not already). Test that the Scene setup is properly implemented. 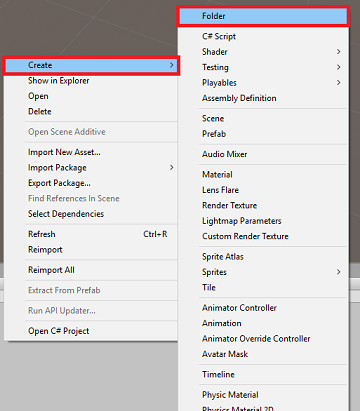 Press the Play button in the Unity Editor. The App should be running within the attached immersive headset. 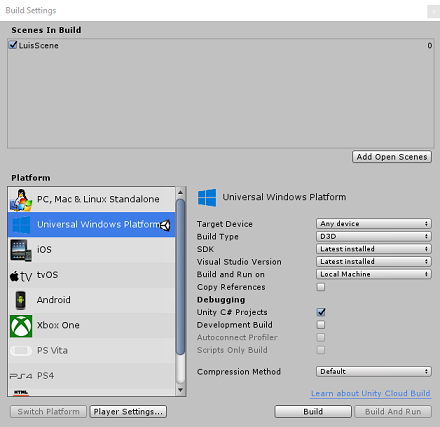 Once you have ensured that the application is working in the Unity Editor, you are ready to Build and Deploy. Save the current scene by clicking on File > Save. Go to File > Build Settings. Tick the box called Unity C# Projects (useful for seeing and debugging your code once the UWP project is created. Click on Add Open Scenes, then click Build. Click Select Folder to begin the build at that location. 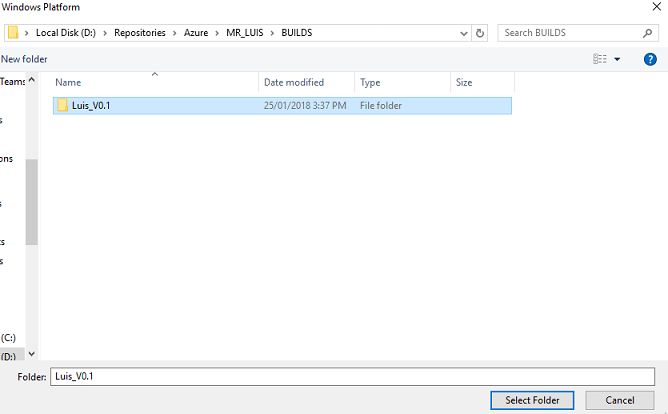 Once Unity has finished building (it might take some time), it should open a File Explorer window at the location of your build. 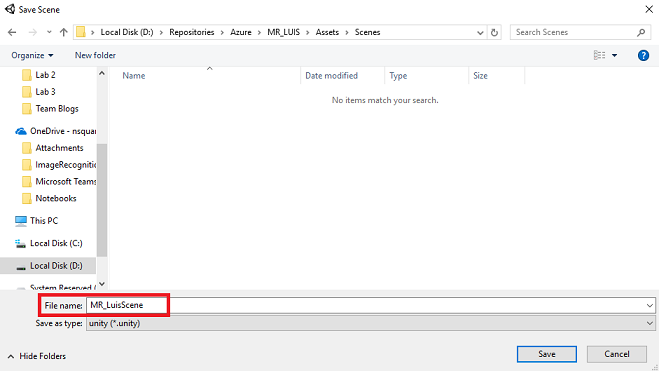 In Visual Studio, open the solution file that has been created in the previous Chapter. Go to the Build menu and click on Deploy Solution to sideload the application to your machine. Your App should now appear in the list of installed apps, ready to be launched! Once launched, the App will prompt you to authorize access to the Microphone. Use the Motion Controllers, or Voice Input, or the Keyboard to press the YES button. This chapter is incredibly important, and may need to be interated upon several times, as it will help improve the accuracy of your LUIS service: ensure you complete this. To improve the level of understanding provided by LUIS you need to capture new utterances and use them to re-train your LUIS App. For example, you might have trained LUIS to understand “Increase” and “Upsize”, but wouldn’t you want your app to also understand words like “Enlarge”? Once you have used your application a few times, everything you have said will be collected by LUIS and available in the LUIS PORTAL. Go to your portal application following this LINK, and Log In. Once you are logged in with your MS Credentials, click on your App name. Click the Review endpoint utterances button on the left of the page. You will be shown a list of the Utterances that have been sent to LUIS by your mixed reality Application. You will notice some highlighted Entities. 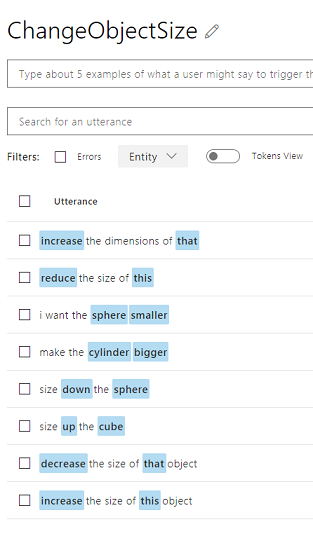 By hovering over each highlighted word, you can review each Utterance and determine which Entity has been recognized correctly, which Entities are wrong and which Entities are missed. In the example above, it was found that the word “spear” had been highlighted as a target, so it necessary to correct the mistake, which is done by hovering over the word with the mouse and clicking Remove Label. If you find Utterances that are completely wrong, you can delete them using the Delete button on the right side of the screen. Or if you feel that LUIS has interpreted the Utterance correctly, you can validate its understanding by using the Add To Aligned Intent button. Once you have sorted all the displayed Utterances, try and reload the page to see if more are available. It is very important to repeat this process as many times as possible to improve your application understanding. Congratulations, you built a mixed reality app that leverages the Azure Language Understanding Intelligence Service, to understand what a user says, and act on that information. While using this application you might notice that if you gaze at the Floor object and ask to change its color, it will do so. Can you work out how to stop your application from changing the Floor color? 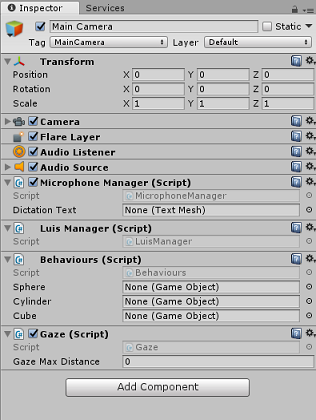 Try extending the LUIS and App capabilities, adding additional functionality for objects in scene; as an example, create new objects at the Gaze hit point, depending on what the user says, and then be able to use those objects alongside current scene objects, with the existing commands.